Israel has damaged its image and its security in no small measure and must chanege its attitude to the Hashemite Kingdom. Israel's security cabinet decided to remove all the metal detectors and cameras at the Temple Mount entrances, and perhaps even the cameras at the Lion's Gate and the other gates that lead into the Old City of Jerusalem, placed there just a few days ago after the cold-blooded murder of two Druze Border Police officers, Haiel Sitawe, 30, and Kamil Shnaan, 22, by Israeli Arab terrorists. The decision was linked to Jordan's freeing the security guard in the Israeli Consulate there, although the guard has diplomatic immunity, having been sent by the Shabak chief on a mission to Jordan and engaging in negotiations with colleagues in the Hashemite Kingdom. The Cabinet decision talks about developing "smart checks" for the astronomical cost of 100 million IS to take the place of the detectors and cameras. I am willing to bet – you name the amount - that nothing of significance will be developed in the near future and the talk of "smart checks" is meant to mislead the public, deluding the man in the street into thinking that Israel has found a way to be sovereign in the Old City and the Temple Mount. In addition, even if a miracle occurs and new technology is developed, there is zero chance that it will be put in place without riots. 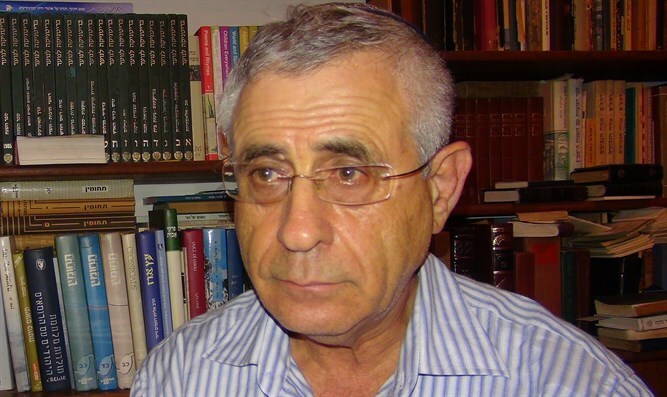 For Israel-hating Muslims, there is no difference between metal detectors, cameras and any other technology, because putting anything there means Jewish Sovereignty, contradicting basic Islamic tenets mandating that Jews have to live as dhimmis under the protection of the ruler but subject to his whims, and that they must pay the humiliating Koranic jyzia head tax. Without doubt, the Israeli government caved and retreated from its decision to operate security apparatus at the entrances to the Temple Mount. From today on, only Jews and tourists will be expected to undergo a humiliating search to be sure they are not carrying phylacteries or prayer books when they ascend the Mount. Muslims, who proved their terrorist proclivities on the 14th of July this year, will continue to enter the holy site without being searched or supervised and will be able to smuggle weapons on to the Mount. Pressure was exerted on the Israeli government from every direction: Israeli Arabs, PA Arabs, Arab and Muslim countries, Europe and the USA. Israel's capitulation when faced with these pressures is of grave significance. The first failure is the fact that Israel's government did not coordinate its steps with the US government, particularly Jason Greenblatt, Trump's special envoy to the Middle East. The government did not expect the crashing wave of Islamic opposition to the move and did not obtain American support for the security measures beforehand. After all, every American understands the necessity of these measures in light of the terrorist reality in which the enlightened world finds itself. Muslim haters of Israel have received enormous encouragement from this affair. Their future demands will be much greater, in just the way one's appetite grows at the sight of food. Terror, it seems, does pay, and the state of Israel looks for easy, immediate and temporary solutions to problems instead of dealing forthrightly with challenges and emerging the victor over those who wish to harm us. The Jewish people will pay a high price for this questionable "achievement" of "defusing tensions on the ground," a result that is far from proven. Removing the security apparatus proved that the Muslims have scored another victory over the Jews. Once again it has been made clear that Israel's government has melted down the steadfast sticking-to-our-guns mentality that characterized the Jewish people when the state was established in 1948 and during the wars that have since accompanied life on our ancestral lands. No declaration, no matter how bombastic, whether proclaimed by the president, prime minister, ministers, officials, IDF commanders or police can hide the bitter and humiliating truth that terrorists forced the Israeli government to cave in and retreat from its correct and completely justified - original - decision. How will the government be able to look the families of the two Border Police officers in the eye? What will all those irresponsible ministers say to the families hit by the terror that will unquestionably increase thanks to their weak and scandalous decision to remove the security apparatus guarding the capital of Israel? How will the Israeli Police deal with the wave of terror that this government's stupidity will bring about, without being provided with the means necessary to accomplish their mission? What nation with the will to live caves in to terror this way? Since the signing of the 1994 peace agreement with the Hashemite Kingdom, Israel's dealings with Jordan are replete with mistakes stemming from the "special status" Israel granted that country on the Temple Mount. Peace could have been achieved without that unnecessarily generous gift, because Hussein needed peace with us more than we needed peace with him. That aside, what normal nation grants another nation special status in its capital and on the holiest site of its own people? This prevents the much-needed logical switch that will turn Jordan into a Palestinian Arab state or split Jordan into a Palestinian Arab State in its northwestern,Palestinian-populated region and a Bedouin state in the rest of the country. The special status and authority granted Jordan on the Temple Mount constitutes the original sin. But the greater sin Israel commits regarding Jordan is the "insurance policy" it has been providing the Hashemite Kingdom for the last 23 years under the illusiory belief that the monarchy's continued existence ensures that Jordan will act as a buffer zone defending Israel from the periodic dangers threatening it from the east: Saddam Hussein's Iraq, the Ayatollahs' Iran, al Qaeda and ISIS. As a result of this supposition, the Hashemite monarchy, whose source of power is the Saudis, continues to rely on the backing of Jordan's Bedouin minority in order to rule over its Palestinian Arab majority. This prevents the much-needed logical switch that will turn Jordan into a Palestinian Arab state or split Jordan into a Palestinian Arab State in its northwestern,Palestinian-populated region and a Bedouin state in the rest of the country. The continued rule of the Hashemite Kingdom in Jordan and the failure to establish a Palestinian Arab state there is the source of the demands that Israel establish a Palestinian Arab state on the hills of Judea and Samaria, the birthplace of the Jewish people. That Palestinian Arab state will have its sights trained on Beit Shaan and Afula in the north all the way down to Beer Sheva and Dimona in the south, and it will make use of gunfire, rockets and missiles to establish its power. Instead of heeding the Jordanian king's demands on security measures in Jerusalem, Israel should have told him clearly: "The murderous attack on July 14th proved that you are not living up to your responsibilities on the Temple Mount. Accordingly, you have not kept that part of our peace agreement and have relinquished the special status Israel [stupidly] granted your father in 1994. As far as the security guard who defended himself in Amman is concerned, you have one hour to hand him over to us healthy and whole. Until that happens, Israel will not transfer the tens of millions of cubic meters of water that it promised your father in the peace agreements." That is the way Israel should be communicating with the king of Jordan, especially since he led the anti-Israel UNESCO decision on Jerusalem. Is that the behavior of a country that has a peace agreement with us? When Israel put the security equipment on the Temple Mount about ten days ago, King Abdullah II of Jordan turned to the American government and the countries of Europe, saying that Israel's actions might cause the Muslims in Jordan and outside it to be furious with him because of his "special status" in Jerusalem, and might threaten the stability of his monarchy. In order to guard his shaky throne, he demanded Israel remove the security apparatus it had placed there. Is there a more ridiculous demand than this one? Is Israel expected to put its own citizens in danger to protect the job the king inherited from his grandfather Abdullah I, himself put there by the British with no justification whatsoever? Israel will have to invest much effort to restore its image, severely damaged by the government decision. 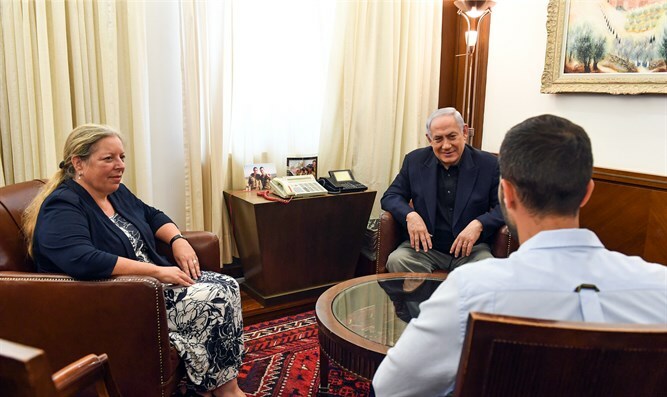 Perhaps the time has come for Israelis to ask themselves if they would not be better off with a more steadfast national leader who has the guts to stand up to the challenges that could lead to security in the terror-wracked area in which the Jewish state would like to survive.